Posted on June 30, 2014 at 6:53 pm. Posted on June 17, 2014 at 5:12 pm. Posted on April 3, 2014 at 4:58 pm. Each month there’s a ton of new articles published on the web regarding the latest news and trends in search marketing. Sometimes that news has to do with a Google algorithm update that can have huge ramifications for your business, and how you go about marketing on the Internet. Sometimes that news is about the latest tools, or best practices in search. And sometimes that news can be a simple statement from a well-known bigwig like Matt Cutts, but it can hint toward future updates, and give insight into Google’s perspective on search. 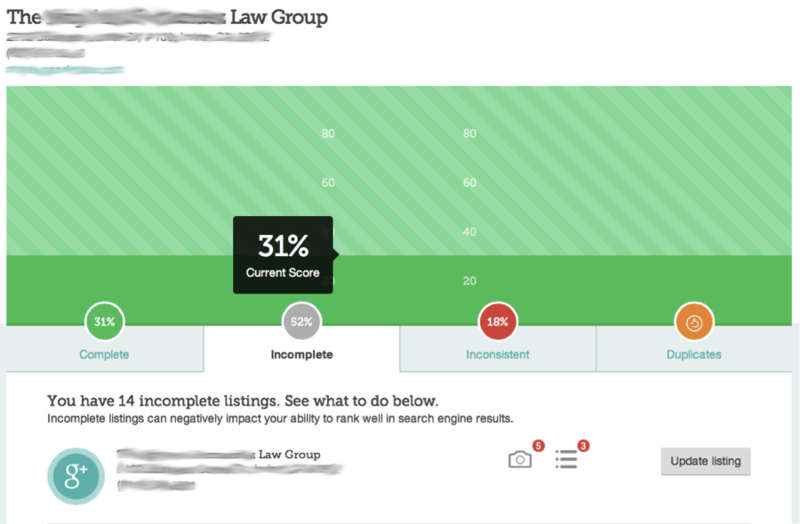 As marketers who serve the legal industry, we know that SEO can be a huge source of new business for attorneys. But it also can be difficult to stay abreast of the latest updates, and keep a pulse on the ones that are most applicable to the legal industry. So, to help you out, we’ve sorted through the last 30 days in search to identify some of the news we feel is most important for attorneys. With that said, I give you the last 30 days in search. In a Google Webmaster forum at the beginning of the month Google’s John Mueller went on record to answer a user question regarding disavowing links to a website. With Google cracking down on paid and low quality links, many site owners are rushing to remove their links, or disavow them via webaster tools. In this case the user was working on a website that was previously focused on gardening, and had a profile of links from other gardening related sites. However, the site had recently switched subjects, and he was worried that the gardening related links would now hurt the site beings they were unrelated to the new topic. 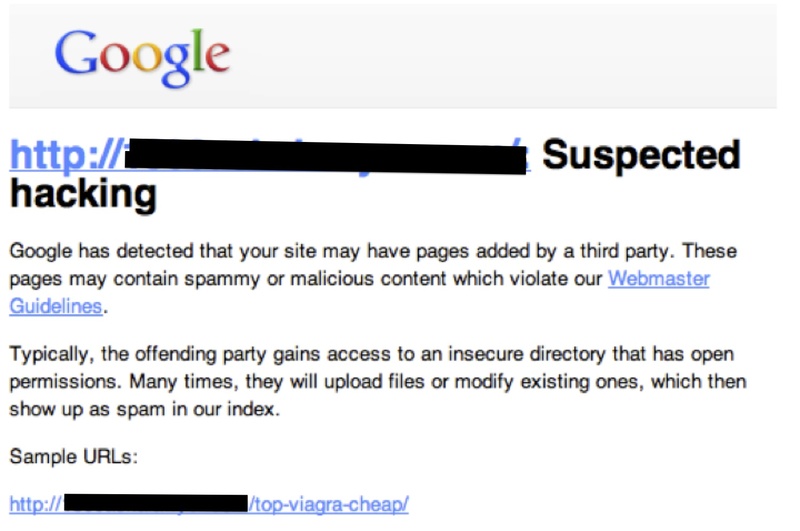 Just to be completely clear on this: you do not need to disavow links that are from sites on other topics. This tool is really only meant for situations where there are problematic, unnatural, PageRank-passing links that you can’t have removed. 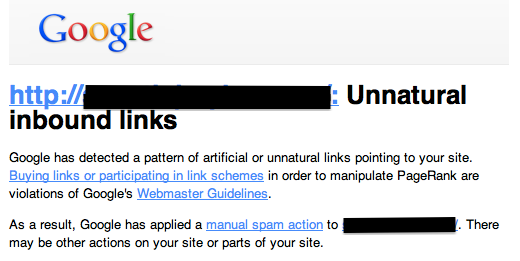 Then a few days later, Google’s Matt Cutts suggested in some cases that you should disavow bad links even if you haven’t been penalized, adding that if it’s only a couple bad links, it “may not be a big deal” though. So, what does this mean to you? First off, I want to say that I don’t advise disavowing links to your site, unless you absolutely know what you’re doing. So please don’t run off and start disavowing links to your site. If you do this incorrectly you can actually hurt search traffic to your site. With that said, we’ve seen a number of attorney’s with bad link profiles, and two of which I’ve recently submitted link disavows for, after not getting a response from the sites hosting the bad links. Here’s the question to ask yourself to assess if you’re a good candidate for link cleanup. Have you ever purchased links, or participated in a link exchange? If the answer is no, good work. Keep it that way. It will make your marketing much easier in the future. If you’re answer was yes, then it’s probably a good idea to have an SEO expert take a look into your backlink profile, and do some link cleanup. 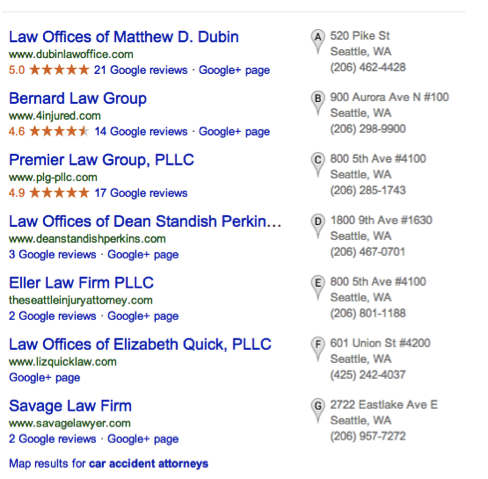 Local search can be one of the most important, and difficult things to do for attorneys. If you do it right, you’ll show up in Google’s results with a map pinpointing your location, and any Google+ reviews placed neatly next to them like a beacon to potential clients. So, when you see one of the biggest names in local search release a tool and service to help you manage your directory listings, it makes you… happy. Or, perhaps relieved is a better word. 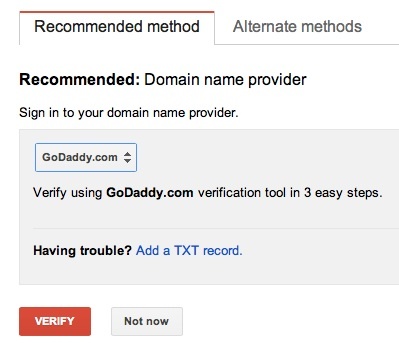 Anything that can make managing directory listings for local search easier is a good thing. You can read more about the Moz Local release here. Will Google’s Panda Attack Small Business? At 2014’s Search Marketing Expo in San Jose, Matt Cutts announced that his team was working on the next Panda update that would have a direct impact on small businesses. For those familiar with the Google Panda update that was first introduced in February 2011, this may sound like reason for concern. After all, the original Panda was responsible for tossing many lawyers from the search results, deeming their sites as having “low quality content”. However, Matt Cutts and his team have explained that this algorithm update is meant to help small businesses do better in Google’s search results. There are no confirmed dates for when this update will take place, but it’s speculated that we could likely start seeing some changes within the next two to three months. In related news, Google was also granted the patent for the Panda algorithm, ensuring Panda won’t be going anywhere. In SMX West’s keynote, Google’s search chief Amit Singhal suggested that Google is reviewing their stance on “not provided” keywords in Google Analytics. If you’re not familiar with the “not provided” saga, here’s a quick recap. In October 2011, Google started moving to “secure search”, which began limiting the amount of search query data website owners were able to access and view from within Google Analytics. Prior to this change you were able to view all of the different phrases that people used to arrive on your site, something very beneficial for improving user experience. For instance, if you handle DUI cases, you’d be able to analyze your search query data to see if you’re actually getting traffic on people searching for DUI, and see the exact phrases they’re using to find you. Since 2011 Google has continually reduced the amount of query data to the point now where 70-80% of query data is “not provided”. Meanwhile, Google’s been criticized for passing along the data to advertisers using Adwords PPC campaigns. In the coming weeks and months as [we] find the right solution, expect something to come out. Posted on March 20, 2014 at 2:34 am.